Collagen is a natural protein component of the skin that acts like a scaffold and the main building block for cells, tissues and organs. About a third of the protein content in your body is made up of collagen, which is found in the bones, muscles, and tissues of the organs. Collagen gives the skin its strength, elasticity and structure. L-Leucine is an essential branched chain amino acid, and plays a major role in stimulating protein synthesis, stimulating muscle growth, repair and endurance. It also assists in the storage of glycogen, a muscular energy source. L-Valine is an essential amino acid that your body requires for healthy cell and organ functioning. L-Isoleucine is an essential amino acid known for its ability to help endurance and assist in the repair and rebuilding of muscle. This amino is important to body builders as it helps to boost energy and helps the body to recover from training. 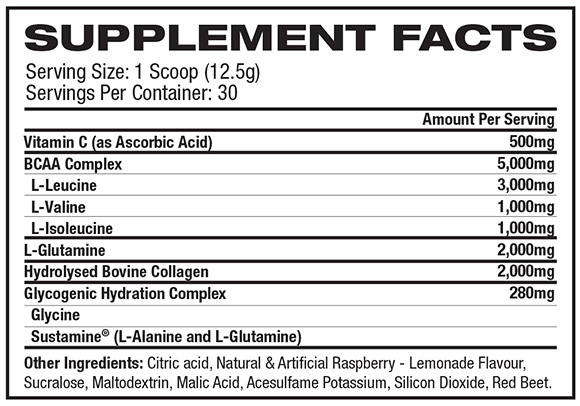 L-Glutamine is the most common amino acid in your muscles. Therefor using it assists in muscle building and protein synthesis. 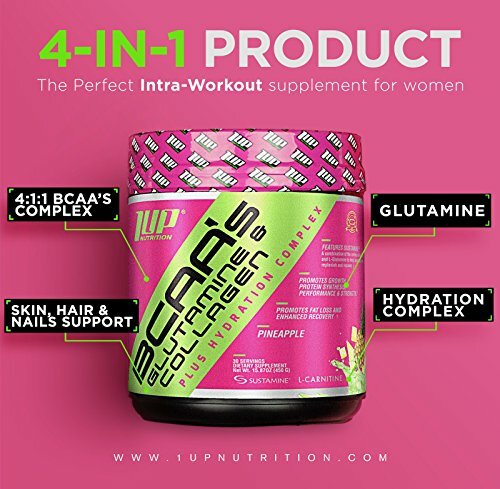 It supports lean mass gains, recovery and immune system function. Includes Glycine and SUSTAMINE® (Alanyl-L-Glutamine): supports rehydration, energy replenishment and muscle recovery, delivering the endurance needed to cover long distance performance.